The SOTN Group is comprised of a diverse group of technology experts in many disciplines; design, implementation and logistical service teams providing coordinated technical solutions that enhance your businesses productivity, meeting or exceeding your expectations allowing your company to better serve your clients. As we have grown in scope and are now able to provide our customers getting their product to markets where they have not been able to achieve. We pride ourselves in taking any customers product seriously in getting their product to market. Having the technology backgrounds and we listen to our customers we are able to provide our customers with the best of our talents. We have always understood the relationship between concept and actual steps required for a successful implementation. Identifying the many disciplines required to meet your businesses project specifications in concert with its long term goals. We are well versed in Data Connectivity, Business Continuity, Disaster Recovery, E-commerce integration, Server Platforms, Local/Wide Area Network implementation and Web Based Video Security digital systems. Our diverse skill sets include Web Design, Hosting and Co-Location Services. Data/Communications Center planning and supervision of all aspects including innovative fire, water and explosion resistant Tier IV Modular Structural Security Facilities. 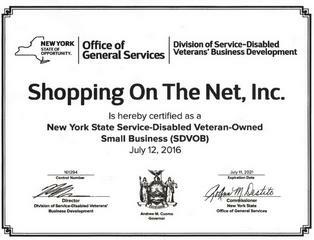 We are a disabled Veteran owned business.